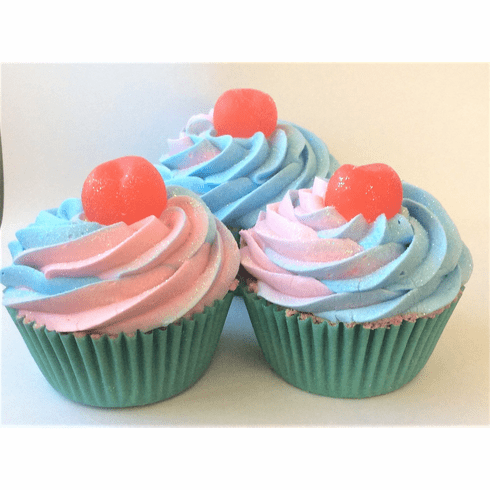 This bath bomb cupcake is scented in the a sweet, fragrance, cotton candy scent. Great for kids and grown ups alike. Topped with a cherry soap and pink and blue swirl topping with a dash of glitter. It comes in a cute cello bag with a bow and a tag and is ready for your gift-giving. Weighs approximately 5 oz. and is made with apricot kernel oil.